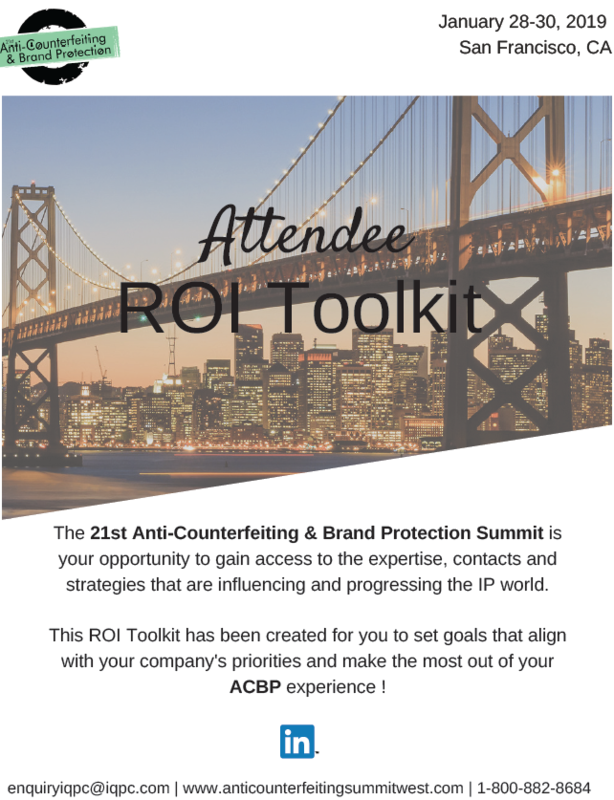 In this ROI Toolkit you will find everything you need to evaluate a return on investment for attending the 21st Anti-Counterfeiting & Brand Protection Summit. The 'dear boss' letter,' Past Attendee Snapshot and registration form are all included. Download the packet and join us this January 28-30, 2019 at the Argonaut Hotel in San Francisco, CA.